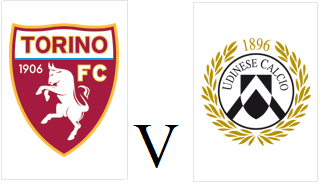 Torino will look to earn their first home victory of the season when they face Udinese at home on Sunday afternoon. The Granata will be without Kamil Glik and Omar El Kaddouri who were both dismissed for dissent after the final whistle in the defeat against Napoli, so Cesare Bovo and Juan Sanchez Mino should deputise. Antonio Nocerino, who has been missing from the Toro squad since being injured against Club Brugge in mid-September is available for selection. Udinese have enjoyed a resurgence this season under new coach Andrea Stramaccioni, and have won four of their opening six games. with veteran striker Antonio Di Natale in fine form.